The web population of the world had its fair share of breath-holding moments when we’ve all watched NASA’s Curiosity Rover landing on Mars. An amazing feat that already marked its place in history. Although, the ongoing Mars mission is, without a question, a great advancement in science, all those who are interested in social media will find a part of it also very interesting. The social media hype surrounding the whole campaign is of immense volume. Hundreds of thousands of Twitter users follow an official account of the mission, and it is no ordinary account! 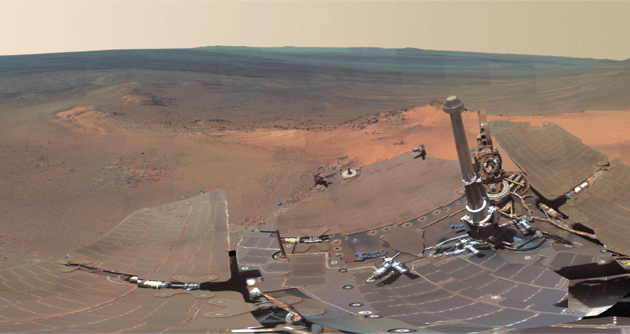 The Curiosity Rover has “its own” official account and posts updates about its journey to the Red Planet. Twitter users could follow the Rover’s preparations to the trip, the trip itself along with a pretty dramatic landing dubbed “7 minutes of terror” and, finally, photo updates from the surface of the planet. Apart from the sheer awesomeness of this idea, there are a few reasons why it should impress every social media enthusiast out there. A simple idea of a machine tweeting about its mission to Mars, and doing it in first person, allowed for a ton of great content that is not only entertaining but also servers as news channel. The team of NASA’s social media wizards standing behind this project consists of three people. Veronica McGregor, who already had some experience in this field – she was responsible for the Twitter account of Phoenix Mars Lander back in 2008, was joined by Courtney O’Connor and Stephanie Smith and formed the group responsible for this social media sensation. They were given the task of translating the scientific mumbo-jumbo of NASA engineers into easily digestible language and, while they’re at it, generate a few laughs and giggles. With a growing number of followers, now reaching well over 830K, NASA’s social media expert team definitely deserves a good pat on the back. Actually, they managed to do their job so well that they’ve fooled Fox News! In this epic blunder, the news channel giant reported that, apparently, there is Twitter on Mars. The idea of interplanetary Tweeting is definitely something, however, it wasn’t engineers who devised this campaign but the wonder social media trio. You don’t need to fly a $2.5 billion Curiosity rover over 566 million kilometers away to achieve this kind of social media success for your brand or business. The campaign happened here, using resources available for every modern company. You can definitely replicate this effect through clever use of tools available to you and generation of genuine and interesting content. Wendy’s devised a clever way to introduce a new item in their menu. “The W” burger was supposed to be introduced after a short campaign that would reveal what will take the sixth slot in the new Wendy’s menu. 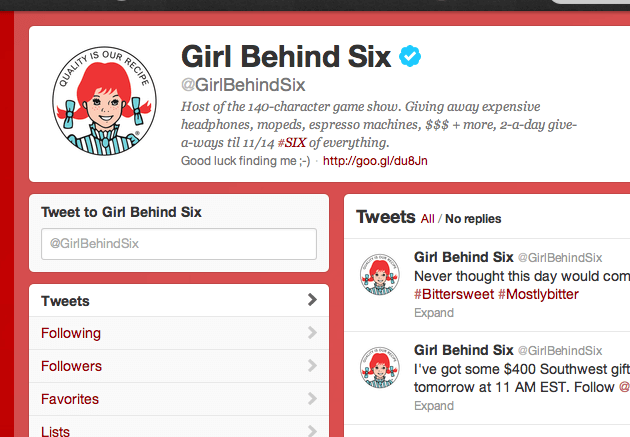 The campaign took the form of an interactive game show hosted on a Twitter account @GirlBehindSix.Through a number of competitions and games, spanning over two weeks, participants could win a wide variety of prizes, ranging form monetary prizes, through tech gadgets to tiger PJs. Raffles of this kind always drive a lot of attention to your channel and can get you a bunch of subscribers. They also tend to spread very fast, so you should be prepared for the sudden influx of interests in your social media page. Honest Tea, an organic tea producer launched an interesting guerilla campaign promoting the core idea behind their brand – honesty. Stand with their tee on them were set up in several major cities. Everybody could grab a drink from one of the stands. People were given the option of paying $1 for the tea. Hidden cameras recorded reactions of the public, i.e. whether they would honor the price or simply take the drink. The campaign turned out to be a huge success and received a lot of attention. Honest Tea was able to raise awareness about their brand by putting people in a peculiar situation and simply waiting to see what happens next. There are many ways of gaining new followers. 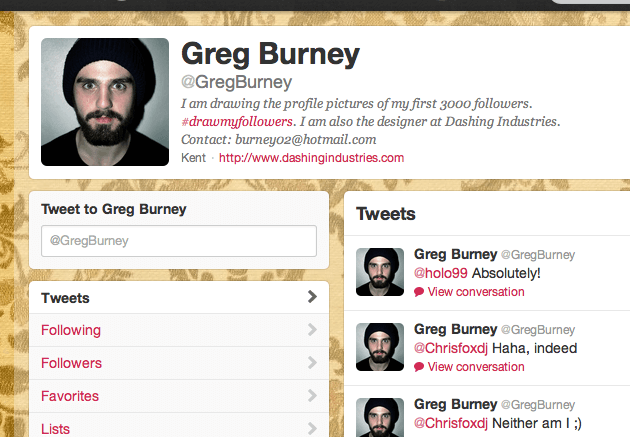 Artist @GregBurney promised to draw the first 3000 people who followed his Twitter account. He reached that number and went way beyond it very vast, earning himself a lot of attention, possibly gaining some new opportunities. This challenge managed to produce genuine interest in people who have heard about his story. They were wondering if he will actually finish all the drawings and complete his goal. Greg’s story shows how important it is to show something original in a social media campaign. To put it simply, every social media campaign should have three key elements: original idea, user engagement and great content. Placing your social media efforts on those three pillars will allow you to produce not only interesting but also engaging content for your followers. How do you build your social media campaigns?